Naruto is a Japanese manga series that tells the life of a young boy who is detested and feared among the villagers of the hidden village Konoha. Frankly, the hatred towards the boy has little to do with the boy himself. However, what makes the villagers scared of him is the thing that is inside him. So, what is the hidden entity that lies waiting to explode? It is Kyuubi, a demon fox. Before Naruto was born, Kyuubi waged war leading to a huge destruction and loss of life. He battled various warriors and they continued for a long time until a man known as the Fourth Hokage, Yondaime, one of the strongest ninja of Konoha fought ferociously with Kyuubi. Yondaime won the battle and he sealed and stored the evil demon into a human body, which is Naruto. As he grew up, he decided to be one of the strongest ninjas of the Konoha, so that he can show the villagers that he is not what they perceive of but a normal human worth of being loved and admired. The series describes his grueling and daunting journey of being one of the strongest ninjas of Konoha. Of course the path is filled with pain, loss, and betrayal; however, with hard work and determination, Naruto might become Hokage. Masashi Kishimoto was born in rural Okayama Prefecture, Japan in 1974. Like most of the kids, right from his childhood, he was always inspired to be a manga artist, and the interest aroused to a great extent in elementary school when he came across the comic Dragon Ball. Years later, in his art college, he won the Hop Step Award for his new and interesting manga story called as Karakuri. After thinking and researching of various genres for his next project, he decided to take the Karakuri story a little further and rooted to traditional Japanese culture. He drew the first version of Naruto in 1997 and it was a simple and short story about fox spirits. And the final version debuted in Weekly Shonen Jump somewhat in the later 1999, thereby becoming one of the famous ninja manga in the world. Interestingly, this series has spawned into various anime series, novels, movies, video games and more. 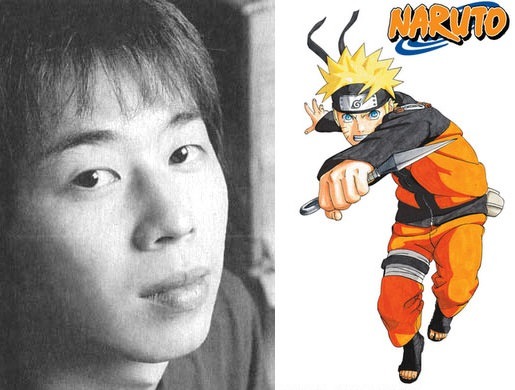 Kishimoto concluded the series in late 2014 and he kept himself busy by writing the continuing adventures of the Naruto world like the manga Naruto: The Seventh Hokage and the Scarlet Spring, and the story of the manga comic Boruto: Naruto the Movie, both of them focuses on the title character’s son, Boruto. Naruto was regularly serialized and published in Weekly Shonen jump magazine. From the 43rd issue in 1999 to the 50th one in 2014, there were seventy-two tankobon volumes. Later on, this manga was adapted into a television anime produced by the Aniplex and Pierrot. From October 3, 2002, this manga comic premiered all over Japan on various Tokyo channels and other TX Network stations. This first series was a huge success and lasted till the 220 episode. Of course, there was a sequel of the Naruto comic called as Naruto: Shippuden which has been aired since February 15, 2007. Besides creating anime series, Studio Pierrot that aired the sequel created and developed various original animation videos and eleven movies. In addition, they created other merchandises like video games, light novels, and the trading cards manufactured by many companies. Konoha, a powerful fox who is known as Nine-Tails attacks the hidden village present in the Land of Fire. This is one of the Great Shinobi Countries of the Ninja world. To counter his attack, the leader of Konoha, the Fourth Hokage defeats the fox and seals his soul inside the body of his newborn son Naruto Uzumaki. But while sealing the soul, the father sacrifices his life. Right from his childhood, Naruto gets sidelined and isolated in the Konoha community. They often regard him as the evil Nine-Tails. The leader Third Hokage creates a decree that forbids anyone from mentioning about the Nine-Tails and the poor Naruto isn’t aware of why people dislike him. He comes to know the secret, twelve years later when renegade ninja Mizuki informs Naruto before he gets defeated. Naruto earns the respect of his teacher Iruka Umino as he had used the Shadow Clone Jutsu technique to defeat Mizuki. After the formal training from his master, Naruto becomes a full-fledged ninja and gets assigned along with Sasuke Uchiha with whom he often competes and along with Sakura Haruno, his crush. The three of them form an indispensable three-member team called Team 7. So, under the guidance of the experienced sensei, the elite ninja Kakashi Hatake, they travel from every village and creating a name for the Team 7. They complete all the missions requested by villagers ranging from being bodyguards and doing chores to doing assassinations. After performing various missions, among the notably one of the Land of Waves, master Kakashi allows the Team 7 to take part in a ninja exam by which they can advance to higher ranks and be part of several difficult missions. Now during the exams, a top notorious criminal Orochimaru attacks the Konoka and kills the Third Hokage in revenge. The story progresses to various interesting levels where Naruto undergoes training in various forms of kung fu to defeat dangerous enemies and adversaries. Throughout his quest, he comes across various individuals and lessons that help him to gain heroic deeds and become a favorite among people. However, during the course of his heroic adventures, his enemies try to entice the evil spirit that is held captured inside his body. The series end with Naruto getting settled in life and marrying Hinata Hyuga, thereby becoming the Seventh Hokage, and raising the next generation of ninjas. For North American production, Viz Media popularized the Naruto comics. In their digital Weekly Shonen Jump magazine, and through individual volumes, they were able to bring this comic to the Americans. It was in mid 2005, that this anime series began airing in Canada and the US. And later on, it got popular in UK and Australia in 2006 and 2007 respectively. Interestingly, the films, as well as most of the OVAs of this series, were released by the Viz, and it was premiered in cinemas all over the US. 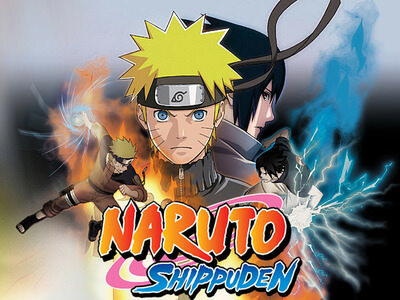 The series Naruto: Shippuden was initially released by Viz in North America on September 2009 and was later broadcasted on Disney XD in October of the same year. Also, it was shown on Adult Swim’s Toonami block in January 2014. Simultaneously, Viz Media started streaming both the series and that too on their streaming service Neon Alley in December 2012. Until October 2015, the manga Naruto sold about 220 million copies all around the world, thereby making it one of the fourth best selling mangas in the history. In addition, this manga is available in 35 countries outside Japan. Plus, the Naruto has become Viz Media‘s best-selling manga series. Surprisingly, the English adaptation of the series appeared many times in the USA Today Booklist. Also, the seventh volume has won the Quill Award in 2006. What attracted the reviewers of this series is the balance between the comedy scenes and the fighting. Also, reviewers like and praised the character’s personalities, however, they criticized the standard plot and felt that the standard shonen manga plot elements lead to the easy assumption in the story-line. Initially, Naruto premiered on September 21, 1999, in the Shueisha’s Weekly Shonen Jump magazine. And it ended on November 10, 2014. The first 238 chapters were known as Part 1 and it contained the first part of the Naruto storyline. The manga chapters 239 to 244 contain the gaiden series that was concentrated on the basic background of the character Kakashi Hatake. And the rest of the manga chapter 245 to 700 contains the Part II that continues the storyline after a gap of two-and-half years. The 72 tankobon was released by the Shueisha in Japan along with the first twenty seven tankobon having Part 1 and all the subsequent ones belonging to the Part II. Now the first tankobon was released as on March 3rd, 2000. Furthermore, many tankobon having ani-manga that is based on the Naruto movies was released by Shueisha. In Japan, Shueisha released the series through for cellphone users on their website Shueisha Manga Capsule. Also simultaneously, the final chapter of the series was released and along with it, a miniseries was planned based on the main character for kids. It was titled Naruto: The Seventh Hokage and the Scarlet Spring. This series began the serialization in both English as well as Japanese edition of the Weekly Shonen Jump as on April 27, 2015. However, this ended after ten chapters as on July 6, 2015. In North America, the Naruto was serialized by Viz Media through their manga anthology magazine called as Shonen Jump. The first chapter of the English adaptation was published somewhat in January 2003 issue. 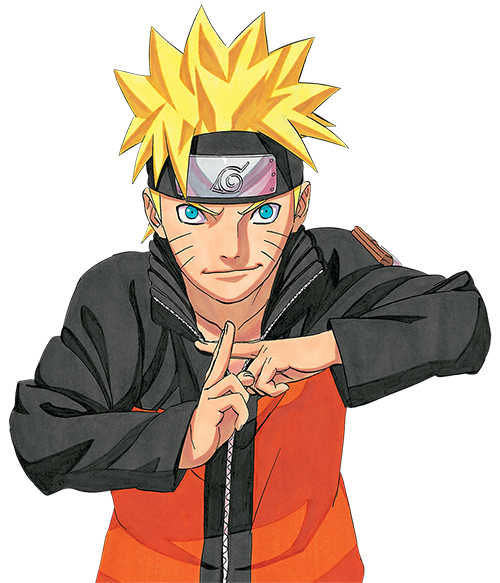 For compensating the gap among the English and Japanese adaptations of the Naruto manga, Viz started the “Naruto Nation” campaign. In this campaign, it released about three volumes each month in the last four months of 2007, which was planned to close the current gap. As per the product manager of Viz, Cammie Allen, the major reason for the bulk release was to ensure that it catches up with the schedule of the Japan and get the similar experience that Japanese readers go through. Furthermore, a similar campaign was contrived in 2009, where there would be eleven volumes from the Part II of the series. This would be released between February and April so that it can catch up with the Japanese serialization. Beginning with the release of volume forty-five in July, slowly Viz started to release the Naruto on a quarterly basis. Furthermore, Viz released the manga in 72 volumes in English as on October 6th 2015. Furthermore, Viz released the entire twenty-seven volumes of Part 1. It was in a boxed set and constituted the entire Naruto storyline just before Part II as on November 13, 2007. Later on, as on May 3, 2011, Viz started to collect the series in somewhat an omnibus format and each of the volumes had three from the original format. Later on, a monthly sequel series which was titled Boruto: Naruto Next Generations started in both English and Japanese edition of the Weekly Shonen Jump in Spring 2016. Now, this brand new series was illustrated by Mikio Ikemoto and was written by Ukylo Kodachi along with the supervision of the creator of the stories Masashi Kishimoto. Ikemoto was the chief assistant of Kishimot during the entire run of the original Naruto series. Kodachi was the writing partner of the Boruto :Naruto , the screenplay of the movie. Furthermore, the monthly series was preceded by a short illustrated and written one by Kishimoto himself. Unlike other mangas, this series lead to the creation of eleven films, where the first three was canonically situated among the first anime series. And this was followed by six non-canonically from the Naruto: Shippuden. The first movie, Ninja Clash in the Land of Snow was released on August 21, 2004, in Japan. The story goes on to tell how the Team 7 was dispatched to the Land of Snow for protecting actors and crews during the shooting of a new Princess Fuun movie of which Naruto is a fan. The interesting part was that the film contained a short original video animation of the Konoha Annual Sports Festival. This was included with the Japanese release of the movie and was premiered on June 6, 2007, in the USA. Now, this was followed by the Legend of the Stone of Gele and that was released in the theaters of Japan on August 6th, 2005. The story of the film revolves around Shikamaru, Naruto and Sakura in which they are on a dangerous ninja mission. In their mission, they get involved in a war among a huge number of armored warriors and the Sunagakure village. However, unlike its predecessor, unluckily, the Legend of the Stone of Gelel hadn’t seen the theatrical release in the US. But it was released or telecasted direct-to-video instead. Also, it was aired on Cartoon Network on July 26, 2008, and had a DVD release on July 29, 2008. A third film of the series called as Guardians of the Crescent Moon Kingdom was released on August 5th, 2006. In that movie, it showed how Sakura, Kakshi, Naruto and Lee get assigned for the security of the future prince of the Land of Moon. The English version (dubbed) of the movie was broadcasted on Cartoon Network and simultaneously, its DVD release occurred on November 11, 2008. In addition, Sony had released the Japanese DVD box that had all the three movies. 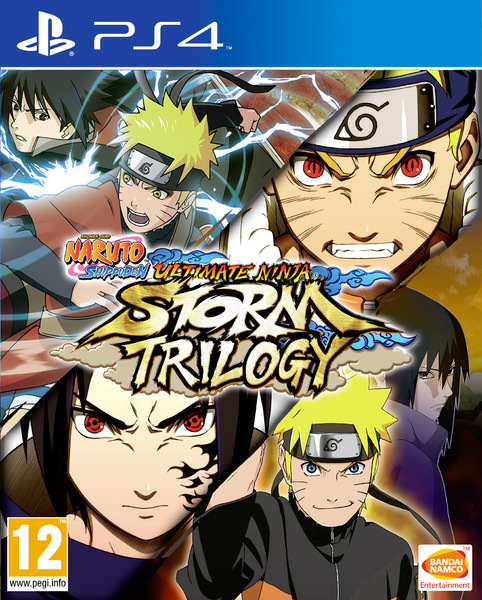 Besides books and movies, Naruto video games appeared in various consoles of Sony, Nintendo, and Microsoft. Now most of them were interesting and awesome fighting games where a player will be controlling selected characters directly. This is based on their counterparts present in the Naruto manga and anime. The gameplay of these games was that the player will pit their character against other characters who are controlled by another player or by the AI. Here it depends on the mode in which the player is in. The basic objective of this game is to reduce the health of the opponent to zero through basic attacks and special techniques which are unique to each character and derived from the techniques that are commonly seen in the Naruto manga or anime. Now, this might surprise some people that Naruto comics was able in merchandise format, especially in the form of a trading card. This was created by Bandai and the trading card game was first introduced in Japan, in late 2003. Also, Bandai released this game in English for the North American audiences in April 2006. So, how is this game played? Well, the game is played between two players where they need to use customized deck of about fifty cards from the set, an item to use as a “turn marker” for noting down whose turn it is, a game mat, and a “Ninja Blade Coin” that is often used for flipping to make decisions. To win, the player must either cause other players to exhaust his or her deck or earn at least ten battle rewards. Compared to other mangas that are available online, Naruto mesmerized the kids and adults because of its simple story line and animation. As the story tells the hardship of a kid who faces difficulty in getting along with people who think he is different, somewhat connected with various kids and adults who suffered from being reclusive. Also, the animation and graphical representation of the comic did bring out what valuable lesson one can learn in life and thereby made this manga one of the best Japanese comics in the world. So, if you really want to experience, go ahead online and check out this awesome manga.